All of our books are available from Amazon.com. Each book shown below includes a direct link. Meet Lorrie, the Barefoot Veterinarian, who plied her trade in the wilds of Southern California fro over 30 years, caring for a wide range of species, including dogs, cats, monkeys, goats, seals, wallabies, ferrets, ... the list goes on and on. Not your typical small animal urban veterinarian! 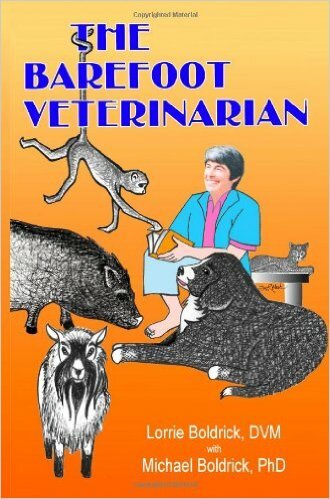 This book is a collection of the many memorable experiences in Lorrie Boldrick's life as a veterinarian, beginning in veterinary schoool and ending with her first retirement. Some of the stories will make you smile, many will make you laugh, others will make you sad, and a few may even make you cry. Hopefully, they'll all make it clear what an extraordinarily rewarding and often entertaining career she had caring for animals - and often their owners. "What should I do if my dog is stung by a bee?" "I know chocolate is bad for dogs, but my St. Bernard just ate a 12 oz bag of chocolate chips. Do I need to rush to the vet?" Find answers to these questions and many more in Essential First Aid for Dog Owners, a practical guide to common pet emergencies and basic first aid for your dog. This concise book will help you make educated decisions on how to handle emergency situations. 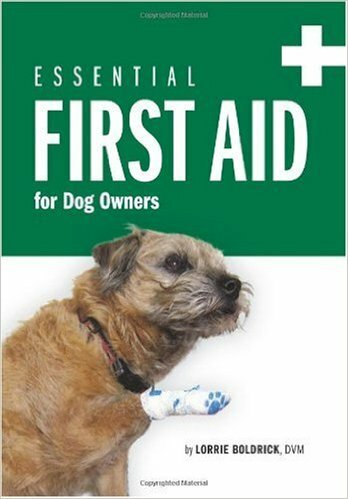 It's easy to use and just the right size to keep with your dog first aid kit (which the book helps you create). The Know Your Dog section is essential first reading. It provides common-sense wisdom that will allow you to keep many situations in the category of "avoided emergencies" instead of life-threatening crises. When a genuine problem does arise, Dr. Boldrick's pawprints tell you at a glance when - and how quickly - you need to see your veterinarian. All this and much more is packed into this little gem. Essential First Aid for Dog Owners also illustrates ways to keep injured dogs - and their humans - safe using proper restraint and handling techniques. A section on handy tips for giving medications rounds out the book. The companion website for this book can be found at www.essentialfirstaidfordogowners.com. Fifty percent of the proceeds go to Freedom Dogs. 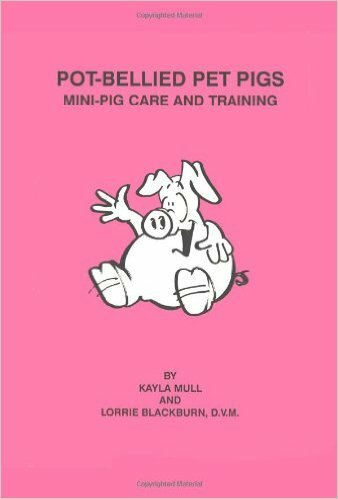 This book includes useful facts and information on Pet Pigs including: - Keeping pet pigs in the house - Housebreaking pigs - Keeping pet pigs in the yard - rooting and gardening - Veterinary Care, vaccination and health care - Feeding, Nutrition, Dieting - Training - walking on a leash This book was originally published in 1989. It went out of publication in about 2001. Now the book is back in print so that you can benefit from the wealth of information it contains. All the information on training and housing Pot-Bellied pigs is still factual and "in date." The feeding and vaccination information may have incorrect product numbers - but the generic information is still correct. The perfect gift for a pig to give his/her veterinarian. This book should be in every veterinarian's library. 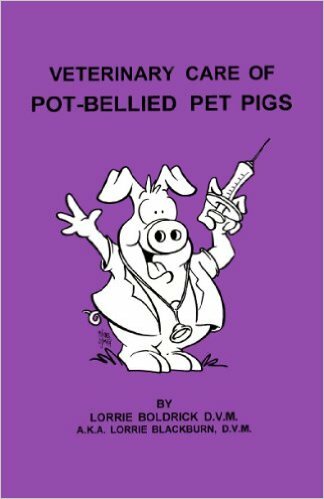 Information includes: Illustrations of veterinary techniques. Discussions of management and feeding. Hints for routine surgery and anesthesia. An excellent reference book. A book for every goat owner's library. 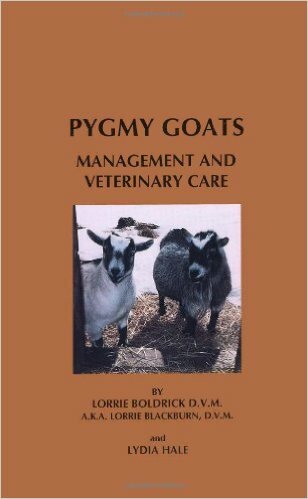 This book has been a long-time undertaking, and the pages herein are a compilation of experiences and expertise gained over twenty-five years of owning and caring for pygmy goats. The enclosed information is not intended to be all inclusive nor the final word on pygmy goats, but rather a general guide and reference.